I’ve been fortunate to have the privilege of having interviewed lots of artists from lots of different genres – from Americana to Alternative and everything in between. 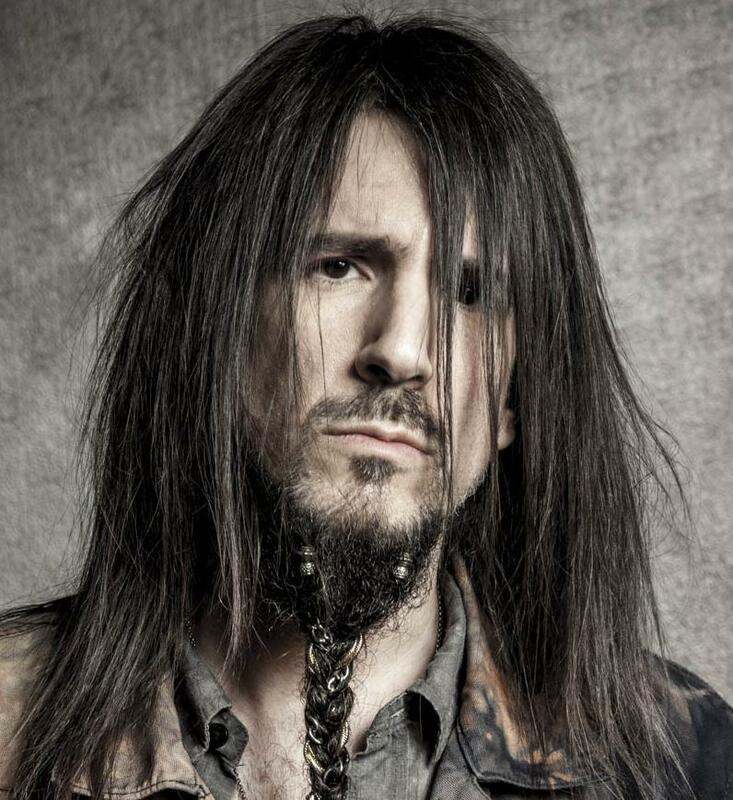 After I interviewed Ron “Bumblefoot” Thal from Guns N’ Roses a couple of years ago, I had come to the conclusion afterwards that he had to be one of the nicest and most genuine artists I’ve ever met from any genre. I can honestly say that, after this interview, my opinion of the man has grown exponentially. Kind, polite, informative and considerate, one might think that he has a Jekyll and Hyde personality when one sees the mad guitarist persona during a GNR show. What you see on stage is a man who is intensely driven and passionate about his craft; a man who throws two hundred percent of himself into anything he does. When I called Ron recently at his home in the Northeast, it was to talk about his new CD, “Little Brother Is Watching.” Before we drilled into that subject, though, I asked him how his venture into the hot sauce business was coming along and what the latest was with his charity work. As for the latest in his charity work, Ron shared, “I just came back from Pattaya, Thailand. I headlined the big bike festival- it’s like Sturgis. It was three days of doing gigs, and the guys that run the whole event have been doing it for eighteen years. They have a children’s charity, Jesters Care for Kids, that provides care for disabled kids, orphans, any kid in need. They help with their education, getting food in their stomachs, and clothes on their backs. “We did all these events there, which raised $163,000. In Thailand, the dollar is worth a good chunk of change, so this is really going to make a huge difference in a lot of lives. I want to come back next year, and see if I can bring some more international artists into it. I was the first international artist they ever had, and it doubled the attendance of the event. 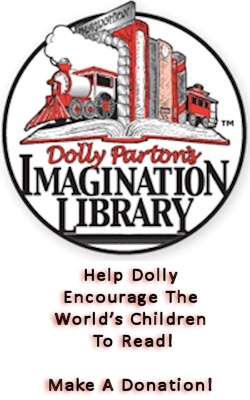 I want to see if I can help them step it up even more and keep trying to make a difference. Segueing to the subject of the new CD, I asked if I was correct that this was his tenth solo project and to tell me a little bit about the album. choose between touring and writing, because they’re just two different mindsets. You exist for two different reasons, and I always found it hard to flip the switch. When you’re on tour, you are there for everybody else. Your time belongs to the fans, and I would always try to give every minute I could. That’s not something you can just quickly shut off. I couldn’t just shut it off, go into the hotel room, and start writing a song. I always need a minute, sort of, to decompress and reboot. I’d get that going and build momentum. I would never get a chance to do that on tour. I’d been doing so much touring over the last year that I’ve just not been writing. “Finally, I just forced myself. It felt like driving with your foot slammed on the gas and your foot slammed on the brake at the same time. But it needed to be done, and I think good stuff came out of it. I was really able to tap into everything I wanted to say and do. Compared to other albums, it really seemed that there was a more direct line - the connection, the root, the little line from your insides to your outsides - was very uninterrupted. Exactly what I wanted to say and how I wanted to say it freely flowed. It worked out well. I mentioned that I thought this project seems to be a very complex, intricate album with an almost rock opera feel to it. Was that his intent? “I think it does sound like that. You can hear plenty of influences that are easy to point out from Queen to George Harrison to David Bowie. You’ll always hear classic rock and a little bit of old punk, a little bit of old metal. That’s just what’s in my blood, and it ain’t coming out. I knew that fans would want to know if Bumblefoot would be touring in support of the album, so I asked him. I’d heard some rumblings about another project that Ron was reportedly working on called, “The Art of Anarchy,” so I asked him about it. “That’s an interesting one. We started in 2011 with Jon and Vince, the guitarist and drummer, who are twin brothers. They started the whole idea of it. They were musicians in bands I’d been producing for the last eighteen years, and they wanted to make a very special album. They wanted to make a super group. Really, they wanted to start a music company, and the first thing they were going to put out is this super group album. They came into the studio and laid their parts. I laid my parts. [John] Moyer came in and spent three days hanging out playing his stuff. Then Scott joined. He recorded at his own place; at his own pace, just did his thing. He came up with some very interesting stuff… things I never would have thought of for these songs. Just as with “Little Brother,” I asked Thal if there are any touring plans for that album or will he approach it the same way he is for his solo album. 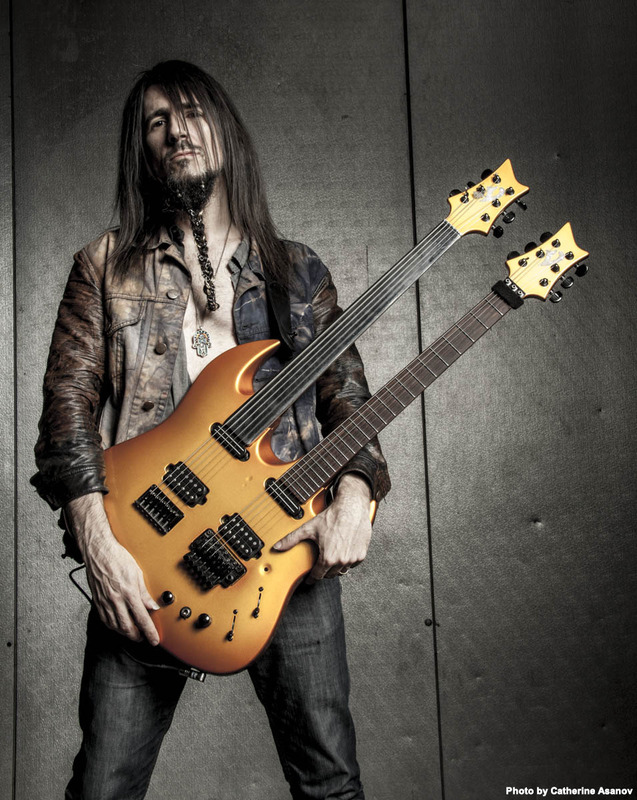 Bumblefoot also revealed what is on his radar for the next year. “I’m going to continue working with all the U.S. embassies on cultural events. I’m going to do a couple days at SXSW. 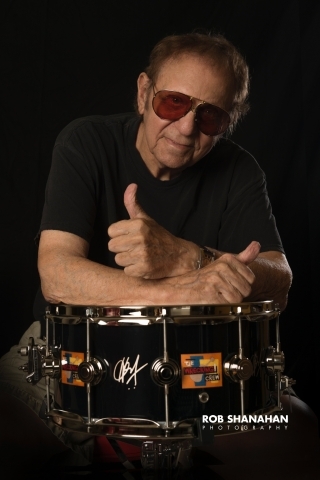 At the end of the month, I have Rock ‘N’ Roll Fantasy Camp in Vegas. We’ll be doing it with Glenn Hughes, Michael Schenker, Bill Ward, Rudy Sarzo, and Brian Tichy. That’s going to be a fun one. Then I’m going to be acting in a horror movie called Clean Cut which we’ll be shooting in early April. “I’ve got to finish up the video of ‘Little Brother Is Watching’ and start thinking about the next video. Then I head out to Asia to do some stuff. It’s looking like, tentatively, we’re doing Malaysia, Singapore, Philippines, Indonesia, and Brunei. I have to run back in time to do a USO benefit in New York on May 1st. I think that’s it- at least, all that my brain can remember. Oh, and all the producing. We shot two great videos for the Art of Anarchy stuff, so we’ll roll those out with singles and then the album. 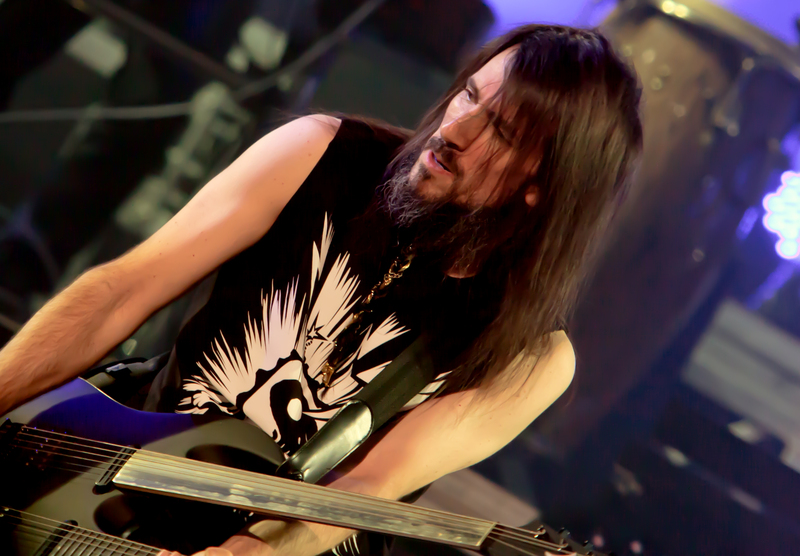 With all that’s going on in Bumblefoot’s world, there’s a very good chance that you’ll be able to see him in person somewhere on this beautiful planet of ours. 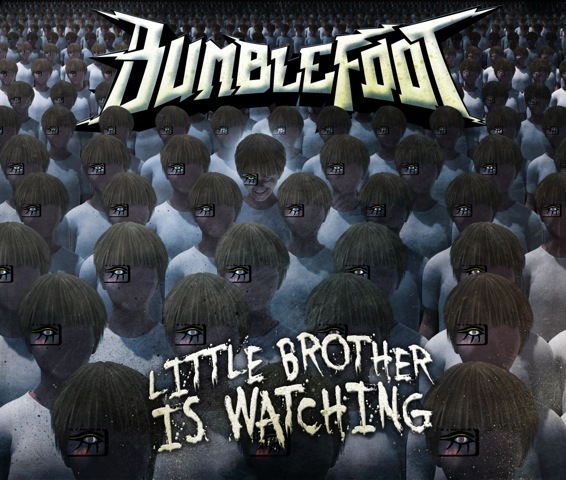 To make sure that you have his latest news and itinerary or to purchase merchandise like “Little Brother Is Watching” or some of Ron’s scorching hot sauce, visit www.bumblefoot.com.